The Gel Glove Set – Powered by Lux, combines the comfort of soft, slim-fit Gel casings with the vibrance of Lux 2.0 technology, to provide the ultimate gloving experience. You’re putting on an epic light show, melting faces and blowing minds, when suddenly your microlight slides out of place, leaving a big empty gap in your light show. 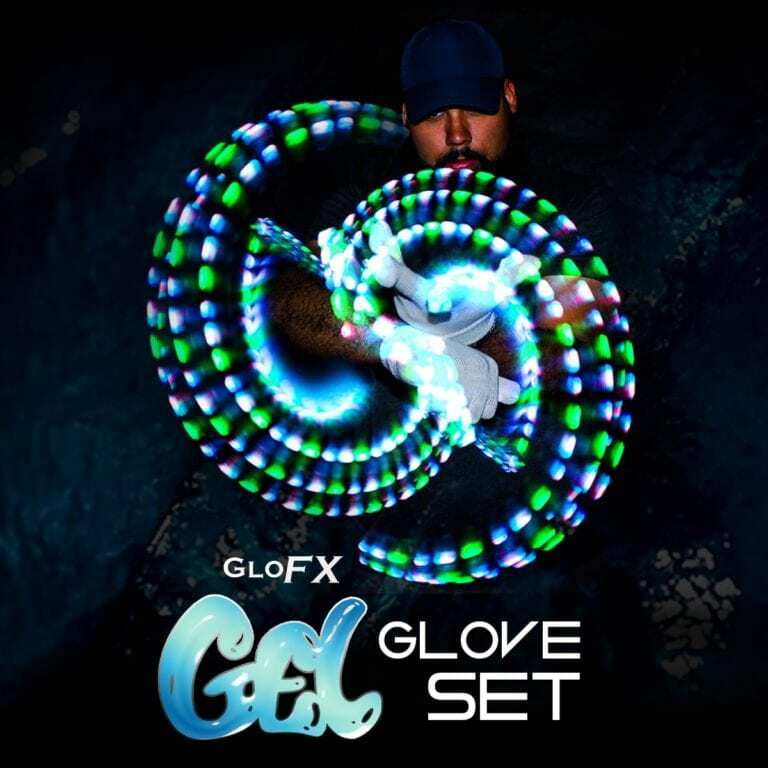 But now, GloFX has come up with a solution: the all-new Gel Glove Set, powered by Lux! These soft Gel microlight casings feature a textured non-slip finish, and are designed to grip your fingers and stay in place for a comfortable flow that lasts all night. Of equal importance is the light clarity provided by the clear casings, adding that extra level of vibrance to your shows. Each Gel casing is custom engineered to meet the demanding specifications of elite glovers…don’t settle for cheaply made 3D printed alternatives. Powered by a custom microchip that features onboard memory, this is the most advanced chip that our engineers have ever developed. The Lux Chip allows the user to select their own custom color scheme from over 1,000,000 color combinations and variations. Select your favorite colors and enjoy nine versatile mode patterns. Or, find your perfect mode and convert your chip to one mode only. The onboard memory allows the LEDs found in the glove set to “save” your favorite color pattern without fear of it being lost…even if the batteries are removed! Immediately return to your favorite setting with only one click. We’ve created an LED that emits incredible amounts of light, but still lasts. On any mode running non-stop, our LED’s remain lit for over ten hours! When practicing, we recommend switching the LEDs to Mode-5 in the chip’s color setting to Red-Red-Red. This mode will put your Lux Microchips into the lowest battery consumption that can last up to 20 hours of continued use! 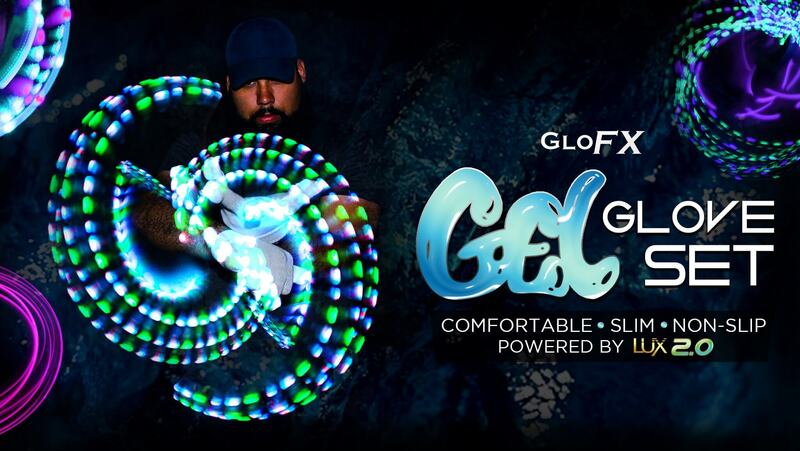 All GloFX LED flow products are exclusively available through the Official GloFX Brand and its resellers, and are proudly designed and assembled in Tallahassee, FL USA.